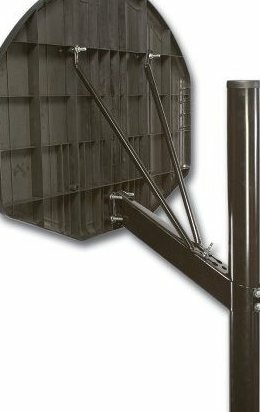 16 gauge steel extension arm allows for adjustable rim height to 10 feet. Backboard and rim are not included. Three-piece, 3.5-inch round pole Five-year limited warranty. Ground sleeve for easy assembly and removal, all necessary hardware for easy installation.